At Showalter Law Firm, clients receive the experience and knowledge of a downtown Houston law firm with the convenience of a suburban Fort Bend County location. 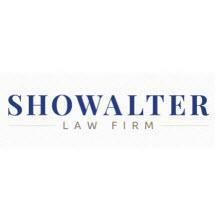 The Showalter Law Firm is a team of experienced lawyers and legal professionals led by founding attorney David Showalter’s nearly forty years of legal experience. The attorneys and staff at Showalter Law Firm take the time to listen to each client’s story in order to develop a client-centered relationship, and provide skilled representation focused on that client’s individual needs and concerns. The firm provides legal services not only for clients in the Greater Houston metropolitan area but throughout Texas. Credit cards are accepted, and evening and weekend consultations are available for the convenience of our clients. Call our local Houston number 281-341-5577 or toll free 888-627-4042 today to schedule an opportunity to speak with one of the attorneys.